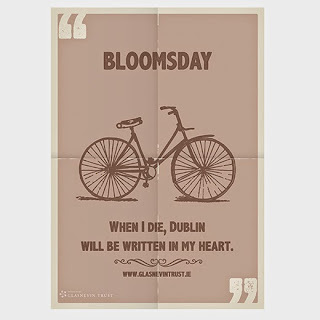 Association of Significant Cemeteries of Europe: Bloomsday 2015 at Glasnevin Cemetery. Dublin. Bloomsday 2015 at Glasnevin Cemetery. Dublin. 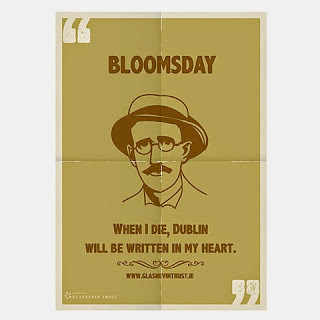 "When I die, Dublin will be written in my heart"
10.00-3.00pm; Special Joycean Breakfast and Lunch in Glasnevin Cemetery Museum’s Tower Café. 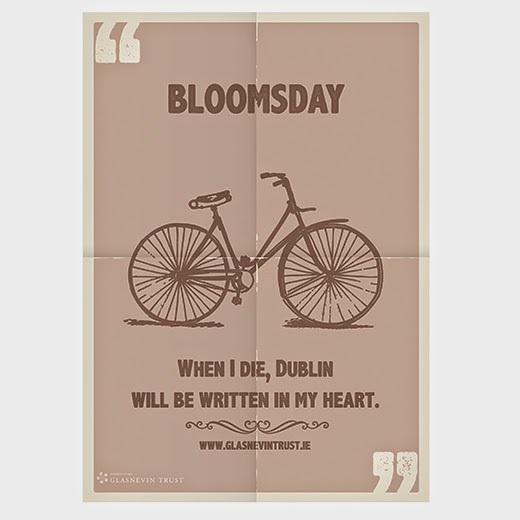 12.30pm & 1.30pm: Joycean Tour of Glasnevin Cemetery. Glasnevin, the heart of the Hibernian necropolis, has many links to Joyce’s life and writing. From the Hades Chapter in Ulysses which takes place in the Cemetery, to the family grave which is the final resting place of his parents. (12.30pm and 1.30pm Tour to include “Friends” play).Booking essential. “Two Irishmen are sitting on a bench, waiting. It’s not Godot they hope will turn up, but another, equally elusive member of the Irish literary canon. They are waiting for Jimmy, more formally known as James Joyce. The action takes place in a quiet corner of St Stephens Green in Dublin, and the author of Ulysses, who never returned to Ireland after 1912, is now an old man and about as likely to appear as Samuel Beckett`s famous no-show. 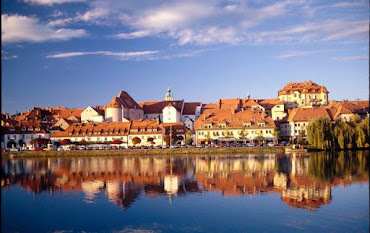 The men recall their university days, and their friend who went on to cause a stir across Europe. Were Joyce to amble onstage, the magic of Kevin O`Connor`s unassuming play would be broken. This is a meeting of the real man and the recent myth; the Joyce these friends know and the one Ireland is talking about. The author’s intellect and misremembered encounters with his wife, Nora Barnacle, are debated. Just 35 minutes long and featuring fine performances from Ed Cosgrave and Jim Roche, Friends is a charming rumination” Eithne Shortall, The Sunday Times. Joycean costume is most welcome, we will have a 'selfie station' for photos! All welcome. 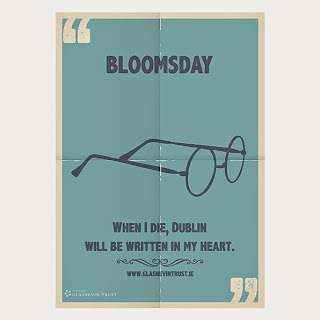 Do you like our Bloomsday Poster?